Drake is a well-known Canadian singer who stands out in the rap field and got 7 out of top 10 on US Billboard Hot 100 Chart recently. Drake released his debut studio album Thank Me Later in 2010, which debuted at number one on the US Billboard 200 and was soon certified platinum by the RIAA. His next two releases, 2011's Take Care and 2013's Nothing Was the Same were critically and commercially successful. His fourth album, Views, broke several chart records. 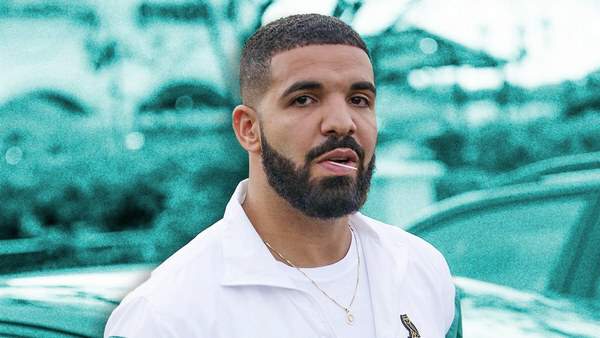 And his newly released fifth album – Scorpion on June 29, 2018 has set Drake as an amazing figure in the pop world again. Scorpion is a double album consisting of 25 tracks, including "God's Plan", "Nice for What", "I'm Upset" and etc. Currently we can listen to Drake’s new album on most streaming music service, including the giant in the market – Spotify. In its first day of release, Scorpion broke Spotify's one-day global record for album streams with 132.45 million streams. In this article, we are going to introduce an easy way to download and stream Drake’s songs from Spotify Free for offline listening. As we all know, Spotify is a streaming music service and all the songs on Spotify are DRM-protected, for which we are unable to save any songs from Spotify as local files. How can we download Drake’s songs from Spotify Free for offline listening? NoteBurner Spotify Music Converter supports both Windows and Mac OS. Here we take the Windows version as an example. For Mac users, please refer to How to Download Music from Spotify Free for Offline Listening on Mac for detailed steps. Click "Add" button or click the center of NoteBurner. Simply copy and paste or drag and drop the link of Drake's song / playlist from Spotify Free to NoteBurner Spotify Music Converter. Click "Convert" button to save Drake's songs as DRM-free files. When the conversion is done, the songs you selected in Step 2 will have already been converted & downloaded to the output folder you set in previous step. By clicking "History" button (like a clock) on the upper right or directly going to the output folder you customized in Step 3, you can find the converted DRM-free Drake's songs available for offline listening anytime.